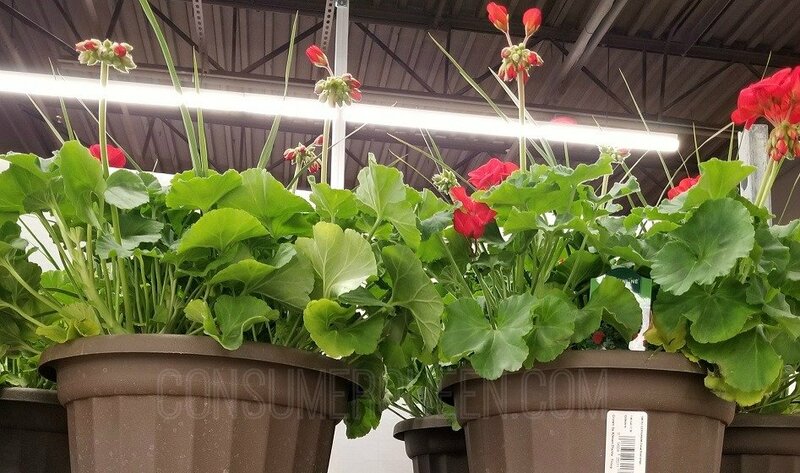 Flowering Plants & More at Aldi! If you haven’t started your spring planting yet, head to your local Aldi and see what you can find! We found several nice deals at our location. Good size pots of multi flowering plants were priced at $9.99. The plants at our Aldi were very nice and healthy looking. No need to transplant, the pots they come in are ready to be placed on your patio or front porch. 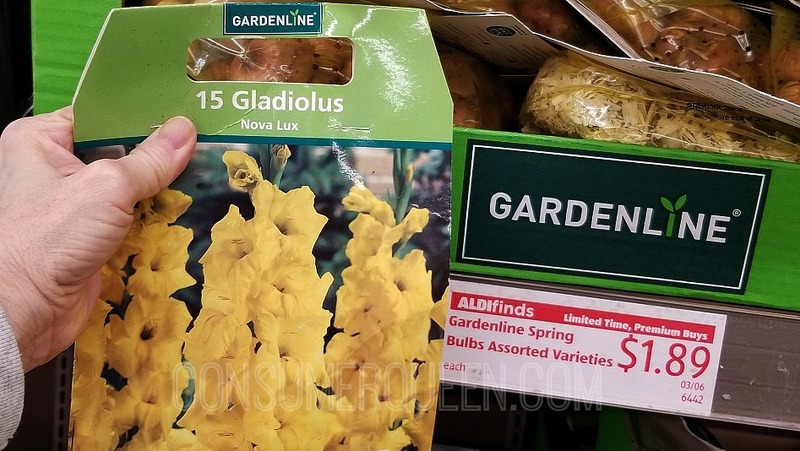 If you’re looking for flower bulbs, Aldi has a nice selection starting at only $1.89 per pack! 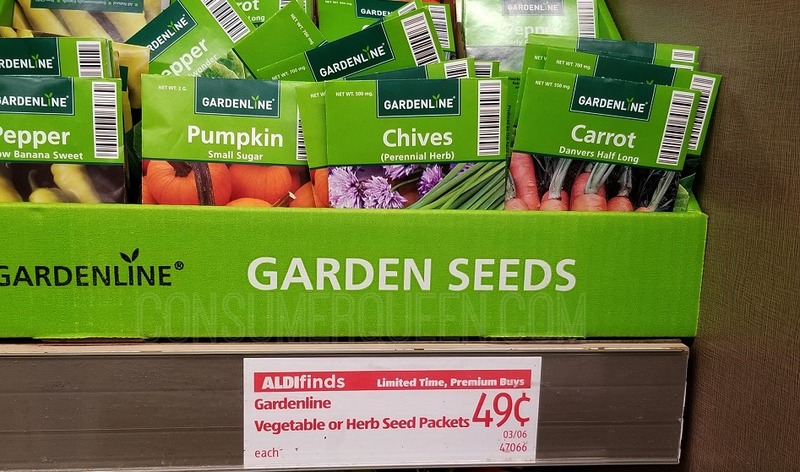 We found vegetable and herb seed packets for 49¢ each! Our store also had a nice selection of in-ground plants too. 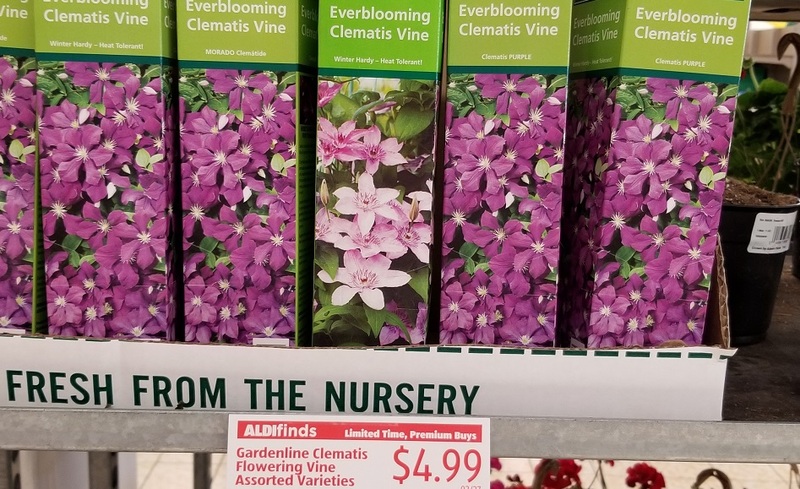 The flowering Clematis vine was priced $4.99. 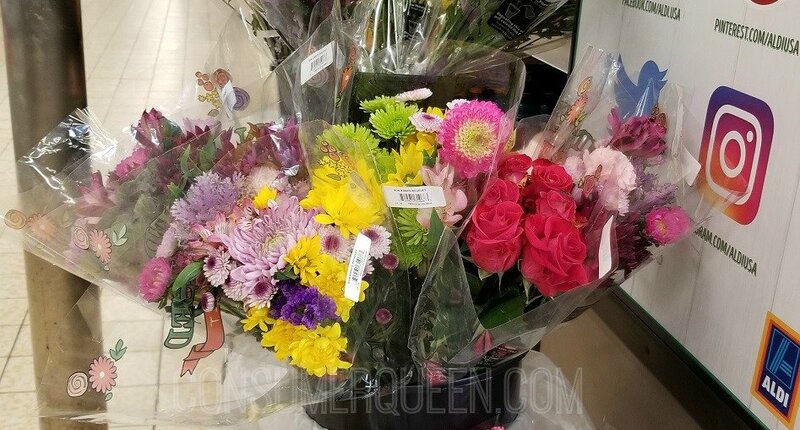 If you don’t have a green thumb at all, check your Aldi for fresh cut flower bouquets priced at $3.99.